Come and enjoy Bay party vibes on the D-block. 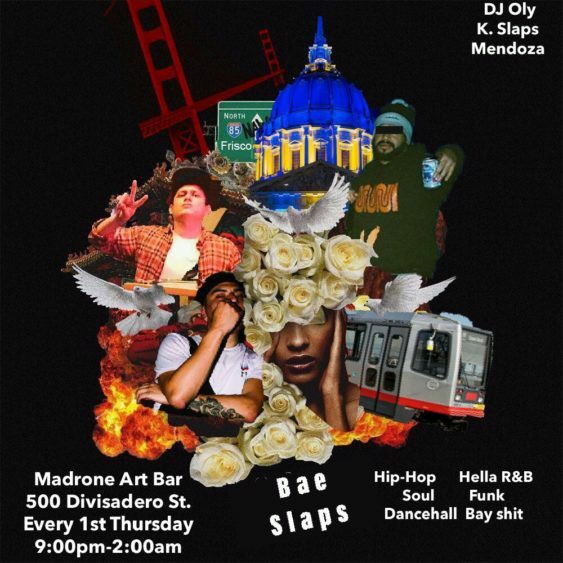 From January 4th and every first Thursday from 9:00 pm-2:00 am they will be playing Hip-Hop, hella R&B for all you beezys, Soul, Funk, Dancehall and all the Bay Area Slappers to get you in the building feeling yourselves. Your resident DJs, Dj’s Oly, Mendoza and K. Slaps plus special guests will be doing all vinyl sets. Come out. Good vibes, good people, good drinks, good records.